Happy New Year to all my readers! Have you made any resolutions for 2012? Don’t forget that you can bring in your tumbler (meaning the limited promo tumbler) for free coffee refills during the month of January. The previous article about that promotion is here. But I want to know what YOU want to see on this site. What do you like and what do you not like? And how often do you want to see new articles? Knowing all these things will help me formulate blog content for 2012. This blog is going on three-years old. (I started in early September 2009, so I guess about 2 and half years, but it feels like MUCH longer! It feels like I’ve been at this for years.) I am still amazed that I haven’t run out of Starbucks stories! Despite what it might look like, this is still a relatively small Starbucks blog. As far as I can tell, nothing has ever gone “viral” from this site. Actually, that might be a totally fun thing to have happen in 2012, but I’m not going to hold my breath. I really appreciate everyone who comes back over and over again to join in the comments, and “like” the blog posts and is a part of this community. I really do want to know all your Starbucks-thoughts. If you have ideas on what I should cover, do tell. And as I said, this is an open thread. I want to entice everyone to come give feedback on what you liked in the past (or did not like): Every comment left below will be eligible for a $75 grand prize Starbucks card. (Maximum two entries per person.) All comments must be posted before 8:00 p.m. (PST) January 2, 2012. I’ll throw all the names into a hat, and pull one out as a winner. Actually, I’m going to entice my friend “LatteRose” to pull the name out of the hat, so she is not eligible to participate. (Sorry Rose!) Be sure to use a valid email address when leaving a comment so that I can easily email you and let you know if you’ve won. Winners must have an address in either the United States or Canada. As always, comments may not descend into personal attacks, or any rude and harassing comments. No spam. The $75 Starbucks card has already been purchased and is just waiting for a winner! (See attached image). Thank you again for a great 2011! I hope 2012 is even better! What's the story behind this 1997 Starbucks whole bean poster? Come Give a Coat at the East Olive Way Coat Drive! Our free drink tumbler leaks as well and it is becoming quite annoying especially when my husband is on his way to work. I just looked and my Komodo Dragon mug is from 2005. It seems like yesterday I bought it. Very happy to add more to my collection – don’t tell my husband. He is mad a whole cabinet is Starbucks mugs and tumblers. Haha! I was searching around and found out that there is a really cool looking 2012 Starbuck planner in Malaysia that is part of a rewards program after purchasing 15 hand crafted beverages with the Starbucks card or can be purchased seperately. I wonder if that will be coming our way? in the U.S. I would love to get one. STARBUCKS Malaysia has introduced a swanky planner for the year 2012, presuming apocalyptic predictions don’t come true, for coffee lovers to schedule their appointments with their favourite brew. Wrapped in a sleek black hard-cover solid box, the planner has a smooth cream leather feel cover featuring the company’s iconic twin-tailed siren logo. Contained within the covers are pages made from high quality paper with a comfortable layout for organising activities. Designed for coffee lovers of all ages, by coffee lovers, this chic and exclusive planner can be redeemed with every 15 handcrafted beverages bought with the Starbucks Card or purchased at RM88 each. 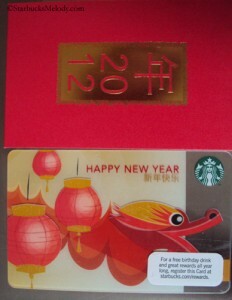 The Starbucks 2012 planner is the perfect gift for friends and loved ones and is suitable for any occasion. It is now available at all Starbucks stores nationwide. Log on to http://www.starbucks.com.my for more information. Stabucks cardholders with rewards section that has not been updated can inform the company at 1 300 80 8989. @Superstieves – Melody did a post on planners a while back. I don’t know for sure but it seems like Starbucks does them in international markets, but not the U.S./North American market. @Supersteives and @CD – Wow, I am amazed how the conversation in this thread keeps flowing. Thank you both for such great comments. Yes, the planners are very much an international market thing. I have a regular reader in the Philippines who mentioned that she is collecting the stickers for the 2012 planner – She emails me now and then. I would love to see the planners come to the US! If I can get my hands on a 2012 planner, I will post about it. Supersteives – Thank you again – I notice you’re a little bit new to the community and even though I only respond to a small percentage of comments, I do read and enjoy them! Welcome to this little Starbucks community!! WOW!!! I am scratching my head that after I mentioned starbucksstore.com had holiday (Valentines) & Komodo Dragon cups and tumblers yesterday now they are all gone from the starbuckstore.com? Weird? Anybody know anything? I was going to order one for a friend that doesn’t have a Bux by them and now removed from the site. @Supersteives and Melody — yes cups and tumblers are no longer there, I even went back to the link in my browser history and got a “We’re sorry we must have gone for a coffee break” error page. So Melody this just proves that Starbucks relies on you and your readers to keep them informed since the departments within Starbucks do not communicate. According to 2 SMs I talked to earlier today these cups are not due to go on the shelf until later, they wouldn’t even tell me when. They release on Tuesday if my memory serves correctly. I can’t wait to get one. @DadCooks, CD, Diele, and SuperSteives – Today’s the 4th, and I tried to keep up reading all these comments a bit during work hours, but honestly I never had a chance to click through the Komodo Dragon mug link that CD originally posted. Actually, mostly I just had to skim them. It’s now 5pm, and I finally clicked on it, and says that ‘gone for a coffee break’ message that DadCooks referred to. As for the Komodo mug, it was nice. I liked the contrasting red inside the mug much better than the colors in the current mugs (Italian, French, etc). CD….I say go to your local Bux, I got mine on the 2nd. They had it all out. I didn’t buy any of the Valentines products but did buy the china Kumodo mug…It’s the same as the French Roast, Breakfast & Italian Roast only it has a Cinnamon Red interior. The Tumber I got is Black & White & Red with a Dragon Grapic and some chinese characters. I couldn’t believe that they pulled all the things off the website that we were chatting about all the way down to the tazo cups. I am saddened to hear Melody that although your experience with customer service was not totally bad, but that there were still issues. I would think the core of the business would be to provide superb customer service through the call center. One more thing for 2011 accomplishments! Melody and the community were first to uncover the rewards glitch with the new SKUs on the new coffee bags that prevented the register from zeroing out the free tall beverage with the purchase of a pound of coffee in the new bags. It may not have gone viral, but the SSC fixed it right after it was discovered on this here web site! Thanks for a great 2011 and here’s to a great 2012 Melody! I don’t blame them for reading. This blog is a wealth of knowledge and vibrant in Starbucks culture past, present, and future. This blog is a collective of partners and customers who collaborate to discuss policies/standards, promotions, store reviews, and the like. I firmly believe this blog has made me in-the-know. Since this is an open thread I have to comment as some have done before re the promotional Jan tumbler that allows free coffee for the month. It seems as my husband has been using it, the tumbler has cracked at the top and it continues to leak. It is very disappointing that SB would offer this promotion but then do it with a poorly made tumbler. @Purple1 – My tumbler seems okay, but I’ve heard a couple others say their tumbler leaked. I’ve met a couple of baristas here in Seattle who don’t know anything about the tumblers!! Ugh! Seems to me that it is a bit silly for a company such as Starbucks to come out with a promotion with a poorly made tumbler. In addition the tumbler does not hold heat at all and has developed condensation on the inside. Being a retired Engineer, with test equipment and a knowledge of heat transfer I tested the tumbler and it transfers heat faster than a paper cup–paper is a natural insulator–meaning the outside gets hot. I tried a couple of the “new American Made” tumblers that appeared on the store shelves this week, tested them both and same unsatisfactory insulating quality. According to a post on MSI Ideas In Action these new mugs created 14 jobs. Too bad these folks are working for a company that does not know how to design an insulated tumbler. There are also elementary design flaws in the lid. Dad Cooks so agree forgot to mention also how the coffee does not stay warm. Such an absurd promotion. In some ways I feel they should give credit to those of us that bought into this promotion because after January this tumbler is being retired!